Patios are our sweet escapes during those warm summer months. If you’re lucky enough, you have a backyard space that’s larger than the pantry where you’ve also stuffed your vacuum cleaner, Swiffer and large quantities of toilet paper. That green space is a canvas for the beautiful outdoor furniture you’ve always daydreamed about while browsing those Spring catalogs. Dolly customer Earle Dutton, who is based in Seattle, WA had similar dreams of the perfect patio. 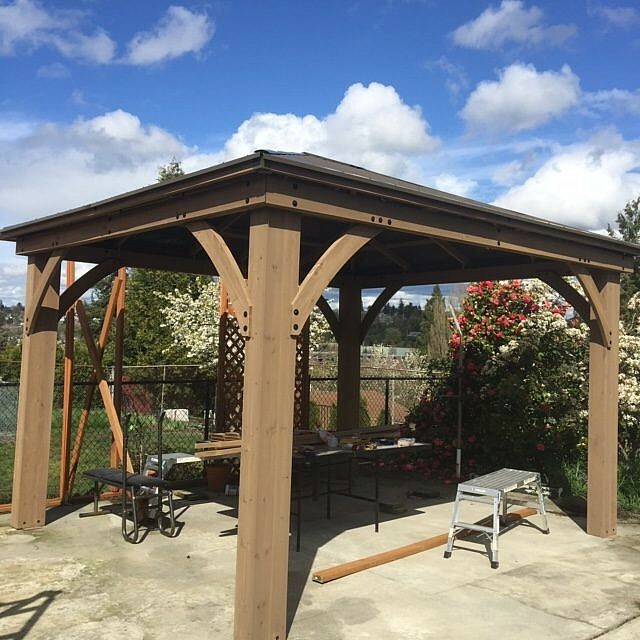 He found himself at Costco in the city’s SODO neighborhood looking for a new addition to his home: a beautiful gazebo. “We bought a large 12×14 solid wood gazebo at Costco. It wouldn’t fit in my truck and we really couldn’t lift it by ourselves anyway,” said Earle. He discovered Dolly through a flyer at Costco and it seemed like the perfect solution for that moment. With a few simple steps, Earle booked a Dolly through the app. The right solution at the right time…and the right price. Hard to believe, right? Dolly is a great solution for when you’re shopping for those larger items. Relying on others is the worst. Dolly lets you take matters into your own hands.